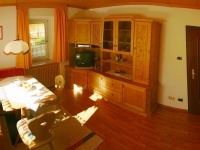 We are glad to present you our comfortable and well equipped apartments for 2-5 people in tyrolean style, completely furnished with SAT-TV and wireless DSL- internet access. Private parking place and garden-lawn. In summer a sitting corner with garden furnitures invites you to rest and relax. From the southern balcony you enjoy a magnificent view to Alpe di Siusi and theSassolungo. Washing facilities, baby-bed and baby-chair on request. 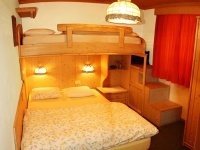 Ski room with ski boot heater for our winter guests. - small kitchen, completely furnished with dish washer, microwaves oven, electric and gas cooker, coffee maker, refrigerator with freezer etc. - bathroom with bath-tub, shower, hair-dryer, bidet and WC. - bathroom with bath-tub, shower, bidet, WC and hair dryer . 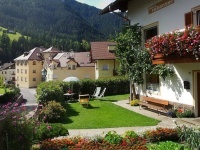 - recently new furnished living room in tyrolean style with tiled stove, double-bed-sofa and TV with satellite reception. 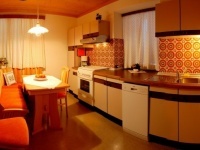 - spacious kitchen, well provided with eating table, gas cooker with electric oven, dish washer, fridge with small freezer , iron, coffee-maker etc. 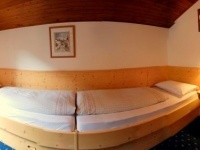 - bathroom with underfloor heating, shower box, bidet, WC , toilet, washing-machine and hair dryer . for unforgettable holidays in summer and in winter ! 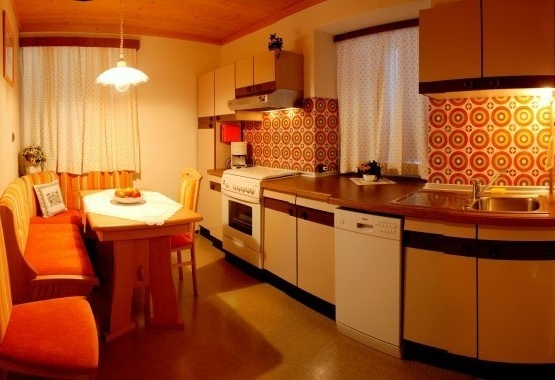 cooking and woodcarving courses and much more await you in Val Gardena during your summer vacation. At this way you have the opportunity to discover and enjoy the unique natural landscape of the Dolomites (UNESCO Natural World Heritage) in good company. As our accomodation facility is member of Val Gardena Active, the most activities are for free or for a reduced price ( except children's programs ) ! 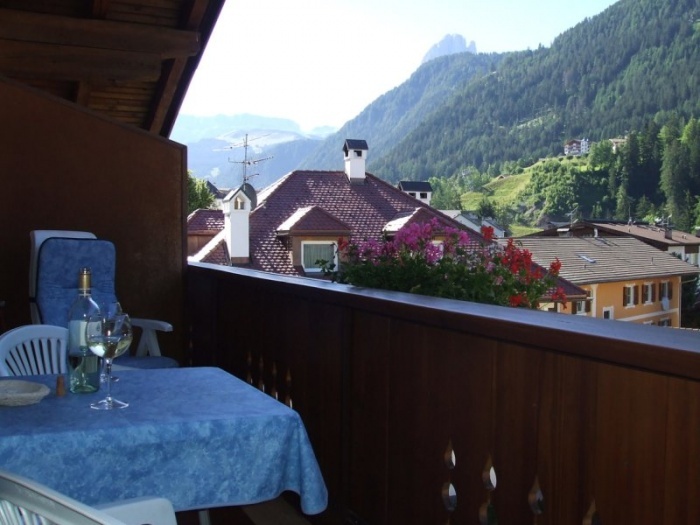 VAL GARDENA SUPER PREMIÃ�RE 30. 11- 20.12. 2013 3+1: A fun ski day free if you stay 4 days or more ! 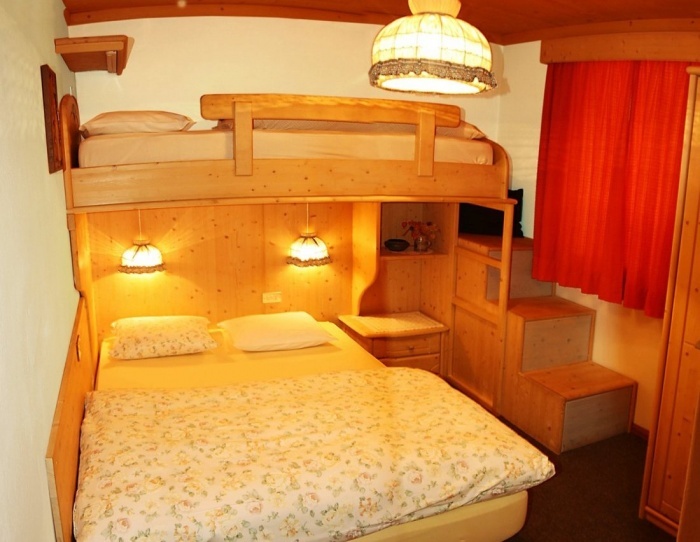 and 15% for children between 8 and 12 years of age, with discounts for skipass, ski school and ski hire. 30% discount for children up to the age of 8 and 15% discount for children aged between 8 and12 years. During these weeks your kids can enjoy having wonderful new experiences during a rich program of entertainment. Forget your troubles and experience a new and exceptional emotion! Make your dreams come true and live an unforgettable experience! We offer 10% discount if you book a tandem flight with our skilled pilot ARMIN. Our house lies in a sunny, central position, just a few walking minutes to the pedestrian area , and is surrounded by a beautiful garden with lawn and sitting corner . A food shop, a restaurant-pizzeria, a bus stop and a children's playground are next to our home ( 1-2 walking minutes ). 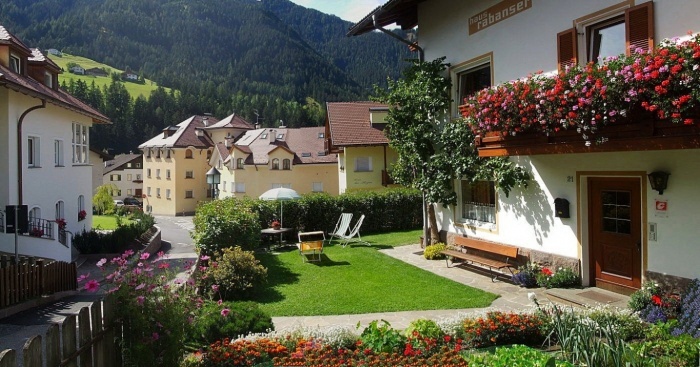 A good starting point for wonderful excursions and sunny walks in summer and for skiers in winter. Enjoy your holidays without car !! By car: The Val Gardena road network is directly connected to the motorway Autostrada del Brennero (A 22). From exit Chiusa-Val Gardena follow the road signs and Ortisei is reached in about 20 minutes. The mountain passes and the end of the valley are only a few minutes away. By train: Intercity and Eurocity trains stop all in Bolzano (36 km), in Bressanone (28 km) and some even in Chiusa (20 km). 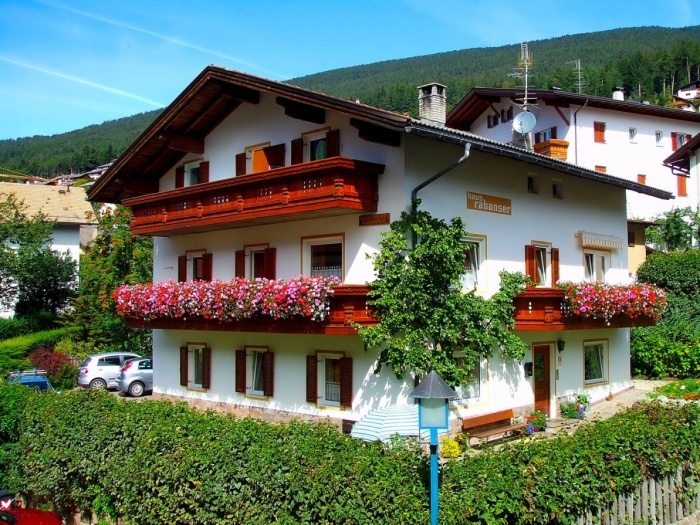 There are various buses which leave from Bolzano, Bressanone and Chiusa for Val Gardena. By airplane: The nearest airports are Bolzano, Verona, Bergamo, Innsbruck, Munich and Milan. The Bolzano airport has daily flights to Rome and Munich and on Saturdays there are direct flights from and to Hannover (www.alpsflyreservation.com) . Furthermore in winter and summer season transfers have been organized from the airports of Munich, Verona and Bergamo to Val Gardena.